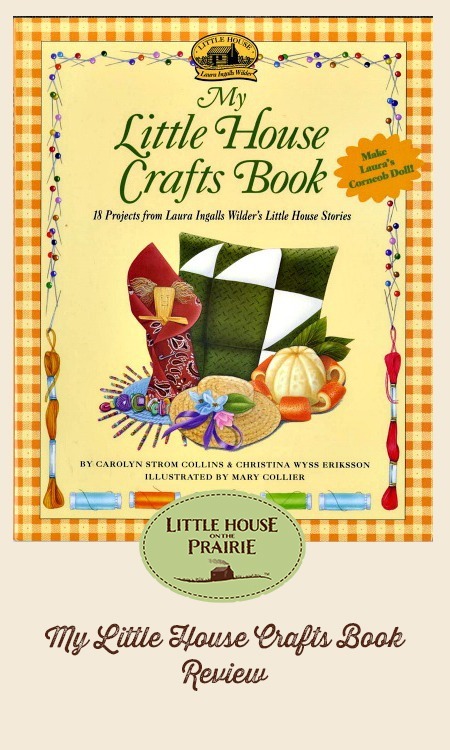 My Little House Crafts Book was written by Carolyn Strom Collins and Christina Wyss Eriksson, with illustrations by Mary Collier. The book was published in 1998 by HarperCollins and is recommended for children ages 8-12. The full-color book has lovely painted illustrations and sturdy, glossy pages that will hold up better to a child’s handling. 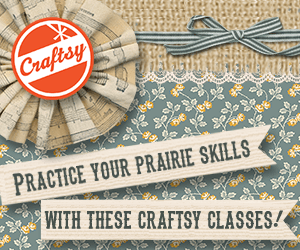 My Little House Crafts Book features 18 projects including straw hats, corn-husk dolls, quilt-patch blocks, and more. 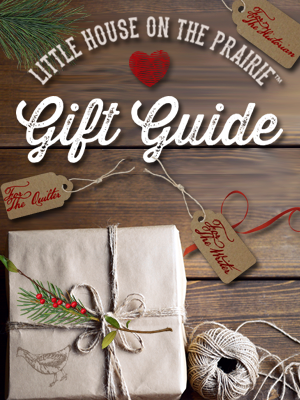 If you’ve always thought it would be fun to try a homemade craft from the Little House books, or if you are the type of person who just enjoys crafting in general, you will love this book. The 18 projects cover a variety of age ranges and skill levels from quick-and-easy air castles, to Bear Claw quilt block pillows. Some of the crafts may require materials that seem unusual to us today, such as willow bough trimmings or colorful wool fabric, but you can source most of the materials at a local craft store, if not outdoors in your backyard. Of course the crafts that require sewing will need adult supervision, but some of the crafts are surprisingly adaptable to a variety of ages. 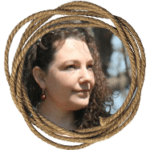 For example, check out Laura’s Corn Cob Doll to see how Alicia and her children made their own corn husk dolls and even ended up with some superheroes. 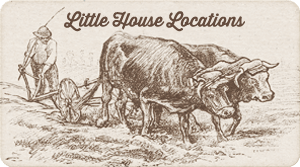 This age-old craft described in Little House in the Big Woods continues to engage children of all ages and is easy to assemble for even the youngest of the bunch. 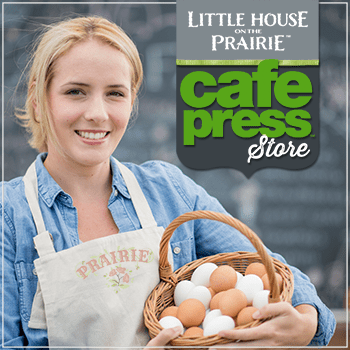 Which project from My Little House Crafts Book would you want to try first? 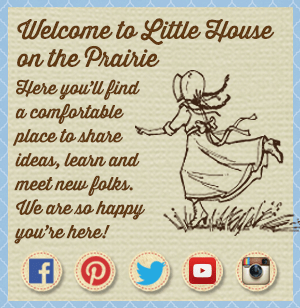 Subscribe to our monthly newsletter and get the best, free Little House on the Prairie craft projects that you can do easily. Thank you for the in formation on different items on Little house on prairie i love the books and all the shows, i grew up on them and raised my children on the stories some of the memories my grand children were happy to hear and see the shows, I m interested in the crafts books, as a grandma and close to retiring Im into crafts allot more and I would like to stick with the The west and how it was. Im not much into the odd stuff now. I guess you could say im old fashion. Could you send me a craft book? Thank you God Bless you .